With 21 parks on more than 11,000 acres, Genesee County Parks offers some of Michigan’s most scenic trails, beaches and campgrounds. But its premier off-road vehicle park, The Mounds, is a whole different animal. 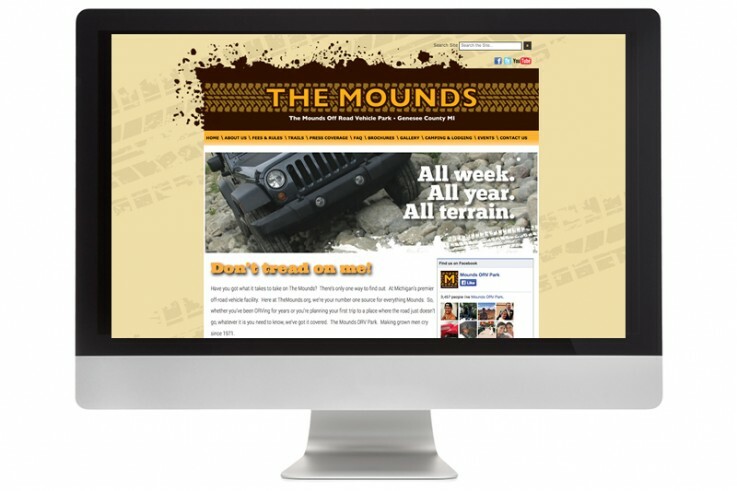 That’s why the Genesee County Parks challenged Olmsted Associates to design a custom website built from the muddy ground up. The site features downloadable maps and social media integration and can be updated quickly and easily by the client.